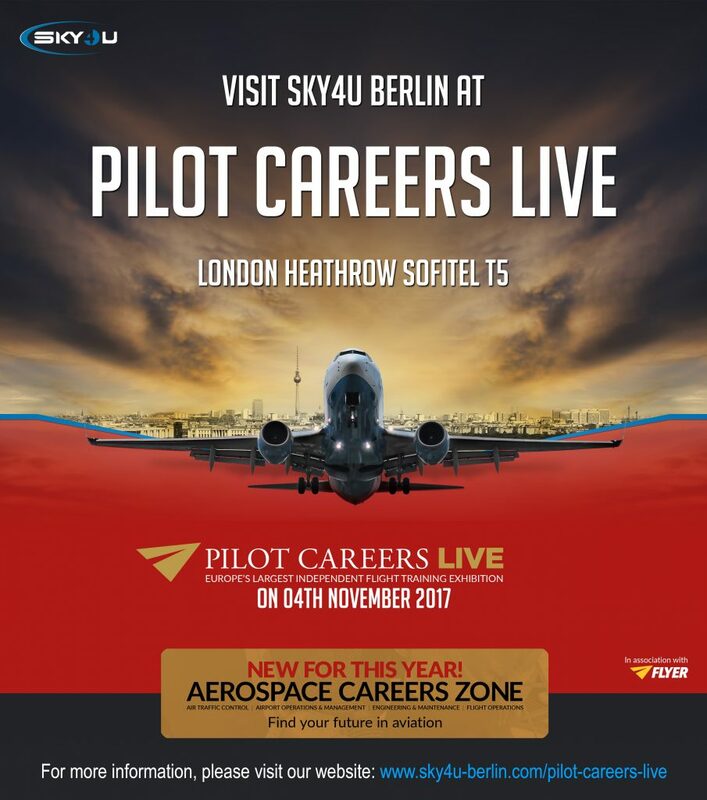 SKY4u Aviation Service and SIM4u Aviation Service will be taking part in 2017 Pilot Careers Live in London! Taking place in London’s Sofitel Hotel in Heathrow, Pilot Career’s Live offers a unique chance to meet leading aviation training schools from around the globe. It is an incredible opportunity to see what you can look forward to in your aviation career! SKY4u and SIM4u will be discussing our exciting new training courses, included Ryanair’s APC course as well as the Next Generation Course and EasyJet! These are fantastic ways to kick start your career in aviation. We will also talking about our Screening and Interview Preparation courses, Multi Crew Coordination Courses and Jet Orientation Courses and how to use them to your advantage. Meet the team and instructors behind SKY4u / SIM4u and get all of your questions answered by the professionals!